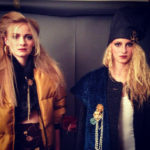 Another Mona Lucero Fave Makes an Appearance at Westword’s Whiteout Fashion Show! for the opportunity to show with 8 of Denver’s best designers on February 20th at City Hall Events Venue and also to the wonderful Wilhelmina models. Great show! This design, called “Psyche”, is a satin wrap dress and comes in a variety of prints, colors and fabrics. It’s a favorite of Mona Lucero fans. Surprisingly, it looks amazing on many body types and is coming soon to a website near you! Here’s the actual video and a still from the interview by Jacinta Lobato of Body of Work: hosted by Jacinta Lobato for her TV show on Denver Open Media. 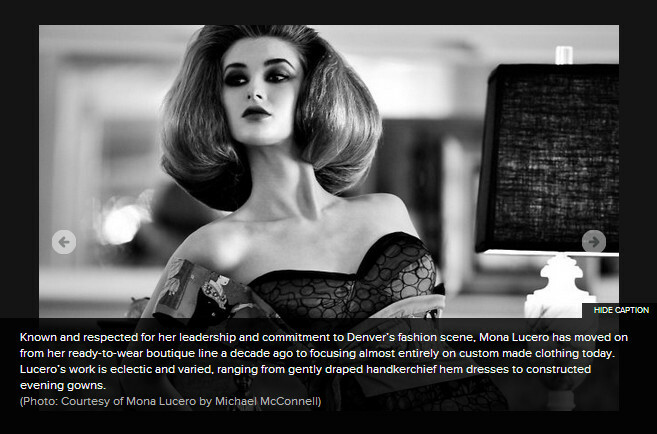 Mona Lucero Fall 2013 Designs shown in 303 Magazine.